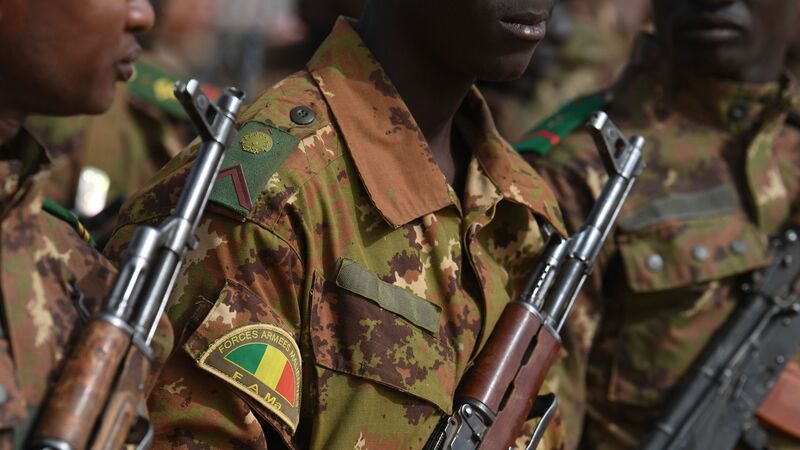 Malian Prime Minister Soumeylou Boubèye Maïga tells Axios that after an attack over the weekend that left 160 dead, one-third of them children, the government will seek to convince militias in the country's unstable center that they must disarm or have their weapons taken by force. The backdrop: Saturday's attack targeted Fulani Muslims, a group of semi-nomadic herders. After the massacre, Maïga announced that a Dogon militia group would be disbanded. Some members of the Dogon ethnic group have taken up arms against the Fulani, whom they claim have been radicalized by jihadist groups. The UN Human Rights Commission says "entire Fulani communities — and we are talking about millions of people — are being painted as violent extremists simply because they are Muslim." It called on the government to "break this circle of impunity." Maïga told me that "previously the Dogon people had a right to defend their own culture, their own villages," which he suggested some had abused by arming themselves and conducting patrols. "Just a few days ago they made a statement that they're going to start going out and cleaning up the central region of Mali. Just after that the killings come in. So there might be a link. The message we want to send is to tell anybody, any type of association that might have the same idea to say, 'This is not your role. It's the role of the government to protect citizens and not militias.'" Malian President Ibrahim Boubacar Keïta declared after the attack that Mali was in a state of war. I asked Maïga whom that war was against, given the violence in Mali is coming from so many sides. "First of all, it's a war against terrorism," he said. "Not against anybody else, against terrorism. What we don't understand is that these groups have been living together for ages, several hundreds of years, and they've never been in conflict before now. So the feeling that we have is that the terrorists are manipulating [the situation] to put communities against each other." At the root of the violence is human suffering. Mali ranks among one of the poorest countries in the world, and basic services like schooling and clean drinking water are often lacking. I asked Maïga if the government had the capacity to both restore security and establish those services. He said the government had plans to tackle both issues simultaneously, but "this region has escaped the control of the government," because "terrorists in the north have migrated down to the south" and are "causing trouble." Both al-Qaeda and ISIS are active in Mali. "Between Islamic State and al-Qaeda there is of course competition, but they have the same objective: to subvert the state," Maïga said. He added that al-Qaeda poses a bigger threat to the state. Mali has received significant international support in its security challenges. The UN peacekeeping mission there is considered the most dangerous in the world. France has a military presence, as does the U.S. While in Washington, Maïga planned to meet with National Security Adviser John Bolton, as well as officials from the State Department and Pentagon in hopes of extending and strengthening security cooperation. Note: This interview was conducted via an interpreter, so quotes might not be exact.